And just as your plan is developing, so you're evolving, too. You're changing in ways you never would have thought possible before. But that's acceptable to you. You're prepared to do whatever it takes . . . Why? Because you're the specialist. And that's how you're going to succeed. What do you do if your fiancee goes missing, presumed taken? If you're Daniel Trent, a highly trained specialist in hostage negotiation, the answer is simple: you find out who took her and you make them talk. But matters are complicated when Daniel's chief suspect is kidnapped. How does he get him back quickly - and alive? 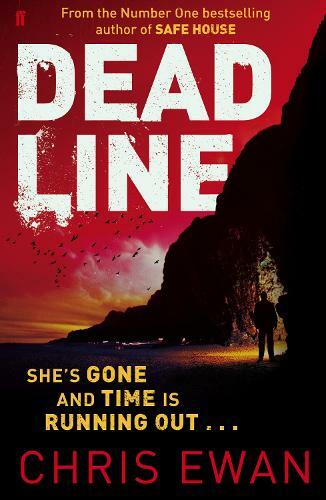 Set in Marseilles, Dead Line is a fast-paced thriller that pitches the reader into Daniel's world, as he tries desperately to secure the release of Jerome Moreau from a ruthless gang in order to interrogate him on the whereabouts of his fiancee, Aimee. When things don't go according to plan, Daniel must use all his skills and instincts to find the answers he's looking for. But will he meet the deadline?